When it comes to beaches in the U.S.A., Florida is typically one of the first states that come to mind. So, instead of giving the Sunshine State anymore shine, let’s take a look at some other amazing shorelines around America where travelers should sail away. In choosing top American beaches outside of Florida, breathtaking views, atmosphere, tradition, and wow factor were all taken into consideration. In no particular order, here are 10 exceptional beaches outside of Florida that all beach enthusiasts should visit someday. Maui is the No. 1 trending beach destination for 2017 per Kayak. Makena Beach, also referred to as Oneloa or “Big Beach” in Maui, is a hot spot for locals and tourists alike. Travelers can soak up the sun and enjoy the sensational views of the small island of Molokini off in the distance, enjoy tasty treats from local food trucks and swim in the bright azure waters. 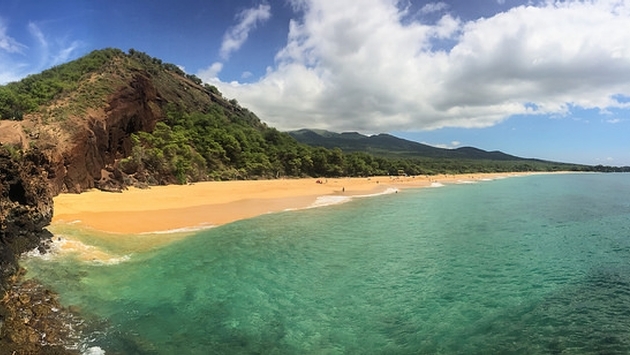 Makena Beach is that ideal stunning Hawaiian beach you’ve always dreamed of visiting. Ranked as the top beach in California for 2016 and labeled as the “Toast of Southern California” by “Dr. Beach”, Coronado Beach has everything you’d want in a sunny California beach. Visit the Hotel del Coronado, a Victorian landmark built in 1888 located right next to the beach. It was the set used for the classic movie “Some Like It Hot”, which starred Marilyn Monroe. It’s also a stellar place for surfing and skim boarding (moms need not worry as lifeguards are on duty). Voted as America’s No. 1 beach of 2016 per Coastal Living, Ocean City has a perfect All-American feel to it. Great for the whole family, there are free activities for all throughout the summer to stay busy. Or travelers can enjoy a simple walk on the two-and-half-mile-long boardwalk to watch the sunset and forget about life’s worries. Golden sands and a classy taste of luxury abound throughout Hilton Head Island. A superb location for families and couples, the clean beaches help make it a relaxing getaway for many northern travelers. 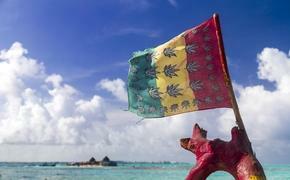 There’s a strong leisurely like ambiance about the town and beach, meaning things don’t get too rowdy. Plus there are oodles upon oodles of outstanding restaurants to feast at without feeling overcrowded. One of the more underrated beaches in America, this Oregon destination has some great history to its name. Used as the filming location for “The Goonies” and “Point Break”, the famous Haystack rocks are a true wonder of nature. While Cannon Beach isn’t your typical sit and tan for hours type beach, its extraordinary views off the Oregon coast make it a site worth seeing for all beach lovers. Perhaps one of the more famous beach areas in all of America, Cape Cod still boasts an excellent array of beaches for all travelers to enjoy. Forget the glitz and glamor that can sometimes be associated with Cape Cod because it’s a model summer vacation spot for families, couples and singles. Maybe you’ll see a celebrity, maybe you won’t, but either way you’re going to have a splendid time given the great weather and astonishing atmosphere. Beaches may not be the first thing that comes to mind when you think of Alabama. That said, Gulf Shores, Alabama should be on every beach fanatic’s bucket list. A picturesque beach town and home to the Hangout Musical Festival in May, the prices here are typically cheaper than those you’ll see in nearby Florida. Plus, it’s less than a half hour drive to the remarkable Flora-Bama bar, where yes, you can drink in two states at the same time. Hawaii has numerous beaches, so it’s no surprise we settled on another beach from the Aloha State. Really, it’s hard to go wrong no matter which shoreline you pick in Hawaii. But why not mix it up and have a truly unforgettable experience at Punalu’u Black Sand Beach? While there are other places around the world with black sand, nowhere else in America can you see black sand like this with so many sea turtles sunning. Located close to Hawaii Volcanoes National Park, Punalu’u Black Sand Beach is a must see for any beach lover. Just make sure to follow the signs and please do not pocket the sand as a souvenir. While one of the more expensive coastlines in the country, Laguna Beach should still a bucket-list destination for all beach lovers. The scenery alone is enough to make the trip worthwhile. Drive with the top down and the windows open along the Pacific Coast Highway for magnificent views and don’t dwindle on the price of things. And who knows, you might even spot a celebrity or two here as well. Also known as “Savannah’s beach”, Tybee Island is a great place to escape and relax. In addition to being a short drive to the city of Savannah, a well-known southern hot spot, the five miles of beautiful powdery sand and the cool breeze of the Atlantic Ocean help make Tybee Island a go-to beach destination. Be careful not to disturb any sea turtles, though, as they use Tybee’s shores as a home to lay their eggs from May to October. What are your favorite beaches, outside of Florida? Let us know in the comments.